Retail Execution with VisitBasis : Is There Such a Thing as Too Much Data Collection? 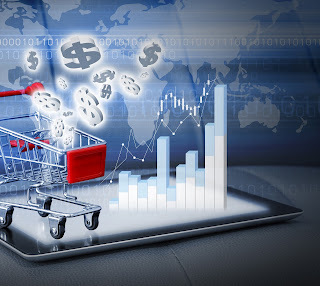 Data collection in retail used to be limited by the data compiling and processing capacity of the business conducting the operation, whether it was a retailer, a sales and marketing company, or the merchandising department of a CPG manufacturer. Some surveys, for instance, had to be limited to especially selected markets or even stores in order to get a sample of shoppers similar to the product's target audience so data transcription and processing wouldn't slow down critical go-to-market decisions. Mobile data collection software has revolutionized this scenario. With mobile data collection software, field reps can perform surveys, product tastings, etc., at the point-of-sale on their own mobile devices, and the information collected will be instantly available for management to analyze and use as part of their decision-making process. Therefore, by doing away with the limitations of data transcription and processing, mobile data collection software opens the door for better strategic decision-making based on a much broader, more representative of the target market, sample size. VisitBasis mobile data collection software is an ideal solution for business conducting in-store activities such as surveys, product tastings, audits, planogram checks, among others, that require customized forms along with real-time access and analysis of the data being collected. Easy to use and implement, VisitBasis streamlines data collection for retail businesses of all sizes and is fully cross-platform, working both on iOS and Android smartphones and tablets. Want to see how VisitBasis mobile data collection software works? Sign up for a free trial or schedule an online demo!